Hello DiRT fans! It’s been whole five days since the embargo for all our press coverage from the announcement passed, so by now it’s likely you’ll have seen lots of DiRT Rally 2.0 everywhere. However, before we hook you up with a round-up of announcement content, we thought you might want to catch up with last week’s event… With a shiny new DiRT Show, filmed at the announcement event last week at the Red Bull Gaming Sphere! Of course, you can expect development diaries, Road Books, DiRT Shows and everything in-between over the coming months! So if some of your questions about DiRT Rally 2.0 still haven’t been answered, then please stay tuned. Finally… we’re reviving Screenshot of the Week! Basically, we saw this shot over on reddit from WI5PER, and couldn’t not share it. Given that it’s Wales Rally GB this weekend too, it seems like an appropriate choice to see out the weekend. 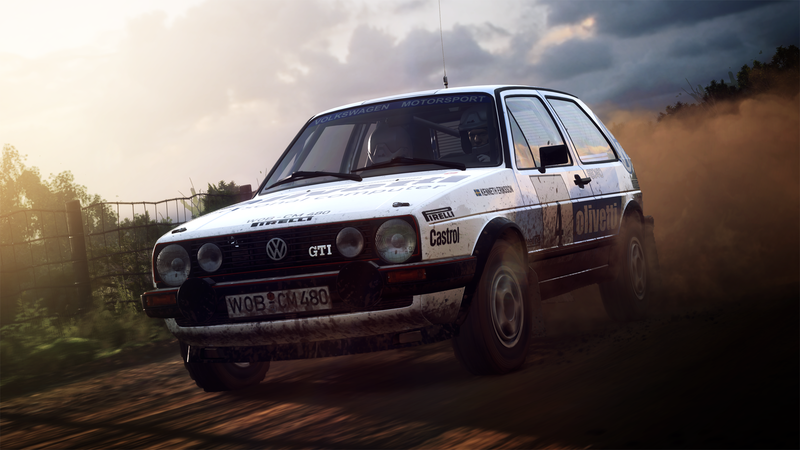 And on Wales Rally GB – of course, don’t forget: if you want to get reacquainted with the Welsh countryside ahead of this weekend’s rally action… you can always fire up your old friend DiRT Rally and go for a spin around Sweet Lamb.